Why wait for the next Sporty's Wright Bros Collection catalog to hit your mailbox? If you sign up for our Email Specials, you’ll receive new product announcements right away. You’ll also get access to special offers and catalog previews. Be sure to check your email for special deals and news from Sporty's. You can remove yourself from our email list at any time. Simply unsubscribe here. Which catalogs would you like? 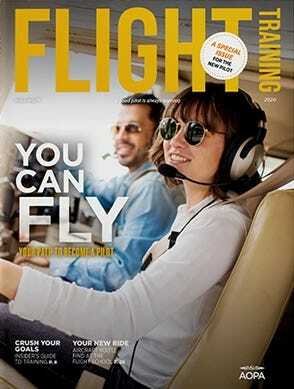 Yes – I am a student pilot and would like to receive a free no risk, no obligation 6-month AOPA Student Trial Membership with 6 issues of AOPA Flight Training magazine and online tools. This free offer is valid for student pilots residing in the U.S. and limited to one free trial membership per student. It cannot be combined with a paid AOPA membership. No purchase necessary. Copyright © 2000-2019, Sportsman’s Market, Inc.